MG: Going back to first principles, on that train journey where we came up with the idea for “Sherlock,” one of the most fantastic things about that whole experience was that, as soon as that idea occurs and it’s the best thing you can ever have, you go, “Oh! Ooooh! OHHHHHH!” That’s how you want ideas to come, because you’re suddenly thinking, “Oh, well, then we could…” It’s one simple, clear thing that leads to a whole universe of wonderful possibilities. “We could this, we could that, and what if we did this?” Like Afghanistan. That’s an amazingly straight way in. SM: I loved the way you suddenly said, “Blog!” Because, you know, people used to keep journals, people didn’t keep journals for a long time, and suddenly we doing it again with blogs! MG: It’s funny, isn’t it? Because in a way…I was talking to a friend of mine who’s a real Luddite about all kinds of things, and I said, “Isn’t it odd that people are now composing E-mails?” I mean, they may not even be able to pick up a pen anymore… (Laughs) …but they’re writing more, and you would’ve predicted from the age of the telephone, say, 20 year ago, that that would’ve been it. SM: Letter writing has just completely come back, and until the internet, I had probably written literally three letters in my life. And, now, I probably write twenty a day from my E-mail. BE: I actually have to practice my handwriting once in awhile. I do it so rarely now. MG: Yeah, that gets a bit frightening. I had to do this book were you had to write a letter to your 16-year-old self, and it was a really interesting thing, but when I actually came to do it, I was… (Fumbles across the tabletop) I tried to do it too quickly, and I found I wasn’t actually forming letters anymore! SM: It’s true. I can barely write a check. Seriously. The age of computer technology has turned us all back into typists… (Laughs) …which is an extraordinary thing. MG: But it’s a funny thing. It sounds so heretical, and you’re always immediately prepared for it, but an interesting dry run happened, which was that I was asked to address The Sherlock Holmes Society of London. I’d been a guest the year before, and they asked me to do it. And, essentially, I made the speech full of Sherlock Holmes jokes, but the bulk of the spine of it was basically the pitch for this series, because it seemed like an interesting argument. Now, with this group, the oldest Sherlock Holmes Society in the world, you would think they would be the most dusty, fossilized, Inverness cape wearing conservatives, but, really, they loved it. Because they love Sherlock Holmes, and we do as well. What’s been so refreshing and thrilling about the reception we’ve had at home is that people who were very skeptical go, “Oh! You got me!” Because it’s all there, you know? And what’s there is Doyle and these characters. SM: We sort of took the Victoriana out, but put Donald back in…who’s been curiously missing from Sherlock Holmes for a long while. No, seriously, he has been! BE: How did the casting of Benedict and Martin come about? 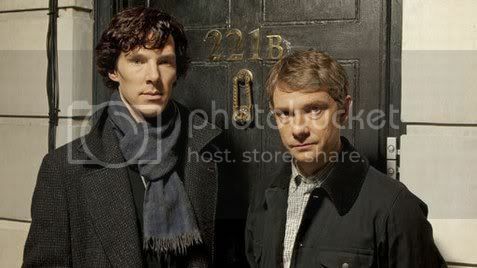 SM: Well, the casting of Sherlock Holmes was hilariously easy, given that it can be very difficult. Sue (Vertue) and I had been thinking about just who should play the part, we happened to be watching “Atonement,” we saw Benedict Cumberbatch, and we said, “He looks like Sherlock Holmes. He’s perfect!” I mentioned him to Mark, and Mark knows him, and he said, “Yeah, that’s a good idea!” So we sent him the script, and he came in and read for it, and we realized after the reading…it was, like, what is the point in carrying on looking? It’s him. There isn’t going to be somebody else. And then the challenge became to get our Watson who could match up to that. And, of course, as we keep saying, it’s a double act. Both characters are equally important. It’s only within the fiction that one’s senior to the other. Within the mechanics of the drama, they are equals. So who is going to be the other one? A host of brilliant people came in as Watson. The first person we saw, oddly enough, was Matt Smith, who is the new Doctor Who. A few days later, he was cast as The Doctor. SM: (Laughs) He had a very good week! And then Martin came in, and when we stood him next to Benedict, he just became Watson instantly, and he somehow altered the way Benedict played it. MG: They also had an instant chemistry, and it’s very interesting that Sherlock Holmes and Dr. Watson are like chalk and cheese, and, actually, Benedict and Martin are very different people who have very different approaches to their acting, but they just connected. They just have a spark, and you could see it in the room. The room lit up, and it just altered the way he was giving the lines. They changed. And…it was just there. It doesn’t very often. It’s a gift. I saw the other day where someone said, “Whoever cast these two should be showered with awards.” I thought, “Yes!” (Laughs) But, actually, I just liked the fact that they were pinpointing that. I thought it was great. BE: (Laughs) Probably. But something you touched on in the panel, and what was apparently in the clips, is that this plays very much like a buddy film of sorts. SM: It’s even not “of sorts.” I really do think, as I said in the panel, that the real story of “Sherlock Holmes” is the story of the friendship, but nobody really talks about it because it’s told through the medium of detective stories. It really is. You warm to those two men, who…in different ways, but they’re quite difficult separately, and they adore each other, but…what’s the line you’re always quoting? SM: (Laughs) Yeah. And there are those details throughout it. Doyle, despite what people tended to say about him, didn’t do anything by accident. These are all very deliberate, cleverly written stories, albeit at the same speed. And the fact that it is a friendship is intentional, but there is that moment of total affection between them that happens once and is never repeated, and it’s there for a purpose. 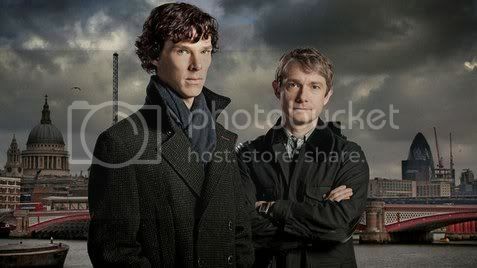 So when Sherlock Holmes works, it’s when you believe in the relationship between the two of them. Nigel Bruce departed a long way from the character of Doctor Watson in the stories, but why I absolutely believe those Rathbone / Bruce films is because they’re the two best friends in the world. They actually were best friends, Rathbone and Bruce, and it’s on the screen. You think, “They love each other!” Why do they live each other? Because they love each other. MG: It’s also key to it…going back to “Doctor Who” or, really, any successful series or drama, you want to spend time with these people. And I think sometimes you can get very hung up on a kind of solemn, very grave version of Sherlock Holmes in which they’re getting the carpet details right but they forget to get people who actually like each other. (Laughs) And you find yourself not wanting to spend time with them, because they’re not having a good time. They look like they’re miserable! BE: Lastly, talking about Rathbone and Bruce and, indeed, getting it right, are there any other incarnations of Holmes and Watson that either of you were particularly struck by? MG: Oh, yeah. Jeremy Brett in the ‘80s…I can so vividly remember hearing that there was a new “Sherlock Holmes” series and being so excited, but for some reason, in my head, when I heard Jeremy Brett, I thought it was Nigel Havers. But I remember seeing the trailer, a big “coming soon” thing, and it was “The Speckled Band,” in which he’s wearing a sort of deer stalker, and Jeremy Brett had a proper hero close-up, and I was just like… (Gasps) “He’s got it! 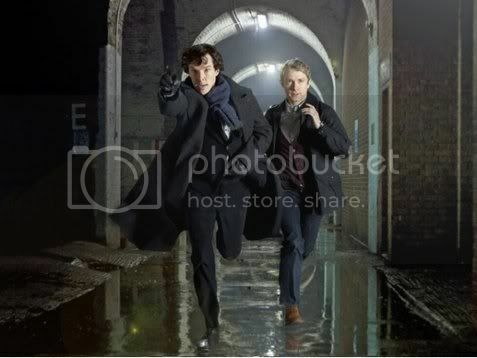 That’s Sherlock Holmes!” And that series has become an absolute icon for so many people. It’s a very interesting thing to do the stories much more as written, but without raining on anyone’s parade, there’s always an inherent problem, I think, in taking a very fast paced short story and making it an hour like that. And some of them do suffer just from, again, taking it too seriously. Well, taking it absolutely seriously, but taking it too gravely. BE: As a teenager, I was always a fan of “Young Sherlock Holmes.” Not the best film in the world, but certainly an entertaining one. MG: The other thing we must mention, because it’s absolutely key for us, is the Billy Wilder film “The Private Life of Sherlock Holmes,” which is a masterpiece and, in so many ways, is tonally what we’re trying to do. SM: There are a lot of things that we’ve taken from that, and we can’t say what they all are, but one of the things that Wilder and Diamond got right was the humor. The banter between the two was spot on. And, again, that Colin Blakely (who played Watson in “The Private Life of Sherlock Holmes”) had as big a part and his stature within the story was every bit as big as Robert Stevens (who played Holmes). The two of them were equals. That’s always the case in the successful versions of “Sherlock Holmes,” in my view. I rather liked Ian Richardson as Holmes. I don’t think they were necessarily the best films in the world, but he got a lot of the humor rather well. Nice. And since they mentioned “The Private Life of Sherlock Holmes” I am now incredibly pre-on board with this. Time to add this to the DVR. Sorry, though, can’t help you with “Donald. Couldn’t have been a muffled/misconstrued “Mycroft”, could it? I wonder if they said “Doyle” or “Conan Doyle” (which could sound “.ona.D…” (i.e. misconstrued as Donald). This wouldn’t be unsurprising. Taking out the Victoriana takes out the temporal context, but taking out the author means one loses the spirit of Holmes. Guy Ritchie’s Holmes has Ritchie, not Doyle, as the originator of Holmes’ “spirit”. 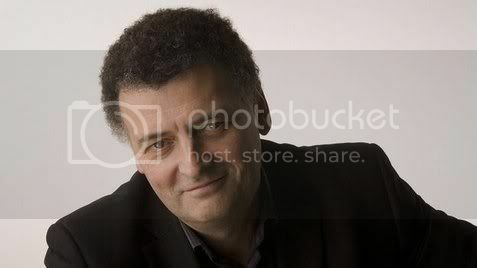 Personally, I think that the cerebral, adventurous, witty Holmes is more Doyle, and that’s what Moffat and Gatiss present. So, my vote is that they meant Doyle, rather than “Donald”.